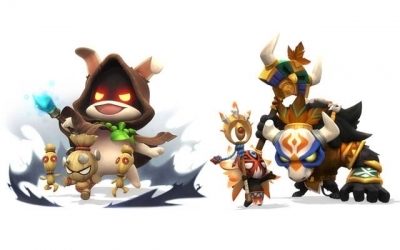 I think the addition of the Reboot server has been one of the greatest things to happen to Maple in the past year or two, but has it left the regular servers in the dust and without a way to compete? In my opinion, yes. 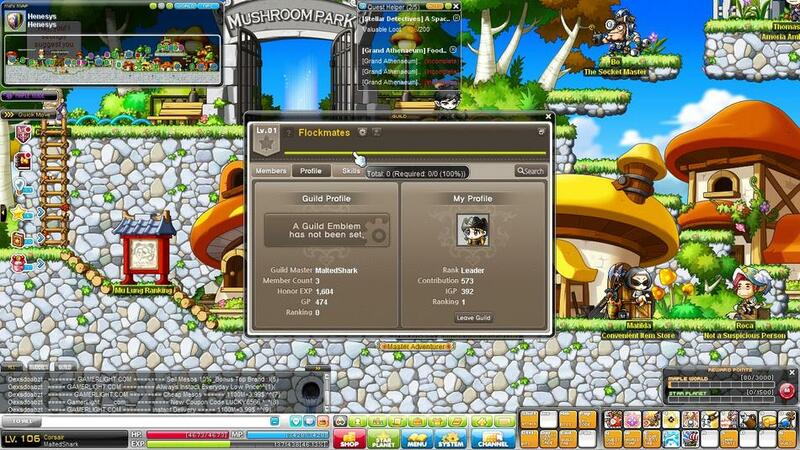 A bit of information on me first of all, I'm just an average Joe on Maplestory. I don't have any godly funded characters, but I do have some end-game funding (CRA with unique/leg potentials, decently scrolled equips, etc). The issue I have that puts me between a rock and a hard place is that there seems to be no method to obtain anything in the non-Reboot server. In comparison, Reboot lays it out for you quick and simple. You grab mesos, possibly with a pet, and that is your resource (apart from time). 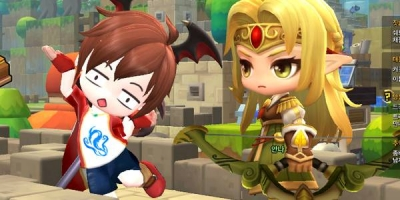 But in the non-Reboot server, where does one get maplestory 2 mesos? You can collect while you're training with a pet as well, but it doesn't get you nearly as far as it would in Reboot. In addition, you can't get everything you need to fund yourself from purely collecting mesos. 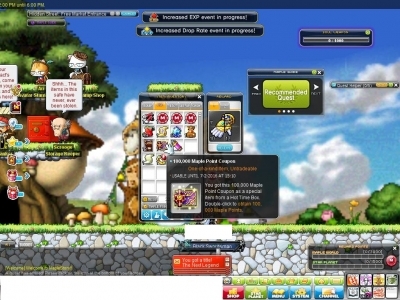 It seems that buying maplestory mesos from meso farmers, selling NX, or merching are the only ways to obtain a substantial amount of mesos. (Merching has become even less predictable with the decreased population from those who went to Reboot, and average Joes like me simply don't have things to merch). And so, for average players in non-Reboot, what's good? The second issue that I want to touch on is training in non-Reboot. Nexon...you killed everything. LHC, FDH/SDH, HOH. Twilight Perion (190~) isn't too shabby though. But, what's the alternative from 170 to 210? Star force maps! Touching back on the issue of the lack of resource in non-Reboot, how does the average player train to level 200 when it costs a fortune to enhance equips to 120 stars on end-game gear for non-main characters? Answer: You don't, imminent frustration with the game. This one goes for both servers and is just an almost-parting message with Maplestory. The lag that I've experienced after recently coming back to Maplestory has evolved to a new level and has truly been a one-of-a-kind experience. This is not an isolated issue as I'm sure the community as a whole will take this stance. Compared to another MMORPG, the game simply doesn't cater to better the user experience. Other than being seriously plagued with bugs in the game (which is forgivable since there is a massive amount of content), the UI has not had the player in mind since...ever. The other game being Neople's (dare I say) DFO, a game that has been out for less than two years, earlier in the year, has dedicated an entire patch to simplifying the UI, making common actions easy for the player, and streamlining families of items. With the streamlining of items came the removal of the common question: "Is this item going to be character-bound, account-bound, or openly tradeable? ", and if it ever was ambiguous, Neople would make it the most reasonable of the three options. Yet, after countless years of Maplestory's existence, I can't manage my link skills without having to log into 12 characters, pirate explorers have become the storage system, and items that would reasonably be account-bound are character-bound. I know the last part was sort of a rant on Maplestory, but it isn't without a point. We all know Reboot is king when it comes to time and ms mesos. We all know that if you have time and don't want to use money, play in Reboot. But, what are the little things, the tiny discrepancies that make Reboot or non-Reboot better? Worse? What blessings and grievances do you: a beginner, an average player, or a godly veteran feel when playing?